Kennett Square, Pennsylvania, listed on the National Register of Historic Places since 1989, is famous for mushroom farming and is lovingly referred to as the Mushroom Capital of the World. There are many attractions for visitors to enjoy in Kennett Square, PA including beautiful Longwood Gardens, the Mushroom Cap, and the Anson B. Nixon Park. Founded by Pierre S. du Pont, Longwood Gardens is a living expression of everything that inspired him. Visitors will feel motivated by the gardens filled with intricate fountains and the architectural grandeur replete with detail just as Pierre du Pont did. 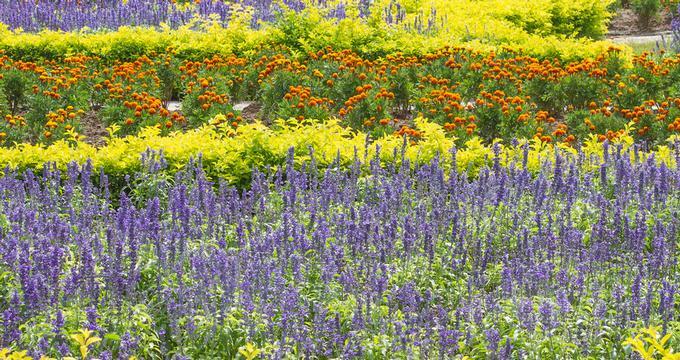 There are many gardens for visitors to explore, both indoor and out, on over 1,000 acres of land. Some of the choices include a woodland garden, an orchid house, a Mediterranean Garden, and a Banana House filled with various fruit and flowers. Visitors with young kids will enjoy the indoor children’s garden that has many hands-on water displays, creative sculptures, and plant displays. A wonderful place to spend the day with the family, Anson B. Nixon Park is a hidden gem in Kennett Square. The 106-acre park is filled with ponds, streams, woodlands, and kids’ play areas for everyone to enjoy. Other areas include a community garden where many people come together to produce nutritious organic food, five picnic pavilions with wooden tables and grills for those summer barbecue days, a dock on the ponds to go fishing with the family, and over 3 miles of walking trails winding through the park for visitors to enjoy. There are many performances and seasonal programs scheduled, including a free summer concert series, sky tours, summer art programs, and other events. More ideas: Best Things to Do in Milford, Pennsylvania. For mushroom farms, mushroom exhibits, and mushrooms to buy, visitors of Kennett Square have no need to go further than The Mushroom Cap to get an understanding of the borough’s extensive history with mushrooms. The farm has been operating since 1946, and though visitors can’t visit the caves because of food sanitation laws, they can learn how mushrooms are grown and processed through great videos and exhibitions of a mushroom house and more. Visitors can buy some unique products such as Snack N’ Shrooms, pickled mushrooms, and mushroom-based pasta sauce. Shiitake, oyster, maitake, crimini, and white mushrooms that are grown on the farm can also be bought. The Galer Estate Vineyard and Winery gives visitors a unique wine tasting experience that is filled with nature, science, art, and of course, wine. The winery was constructed in 2005 with little to no knowledge of growing grapes, constructing a winery, or making wine. Over 10 years later, the Galer Estate Vineyard and Winery has over 90 awards under their belt and creates wines that go head to head with those produced in California, New York, and even Europe. Visitors can relax in the serenity Chester County offers with a glass of Chardonnay made right there on the 4-acre property. The vineyard and winery also schedules many events throughout the year including live music, pop up art shows, and Sunday Salons. More ideas: 11 Best Things to Do in Jim Thorpe, Pennsylvania. Relaxing in the wondrous nature of Chester County? Visitors can stop by the Woodlands at Phillips to add some retail therapy to their day. Since 1828, this wonderfully traditional shop has been offering visitors flavorsome mushroom-related products. While there, visitors can also tour the lovely restored home and the tranquil surrounding landscape filled with Oak and Maple trees. There is a wide array of fresh, dried, and jarred mushrooms for sale, and other merchandise includes gourmet soup mixes, sauces, and other mushroom-based products. Visitors can also stop in to find an authentic mushroom recipe, attend a free cooking demo, watch videos and tour the mushroom growing room and museum. The Willowdale Steeplechase is a Kennett Square landmark, and the 160-acre land is right in the heart of Cheshire Hunt County, a place that has produced many jockeys, trainers, and owners over the years. Willowdale was built with the safety of horses in mind, and has a remarkable water jump, hedges, and post and rail jumps surrounding the natural amphitheater style of the steeplechase. There are many races and polo games held at the Willowdale in addition to numerous events scheduled throughout the year for visitors to partake in such as Mardi Gras auctions and cocktail parties. 100 acres of land, of which 30 acres are Vinifera vines, Chamboucin vines, and Vidal vines, comprise the beginning of the Paradocx Vineyard experience. Nestled along rolling hills, the Vineyard experience starts with high-quality homegrown grapes that, when combined with viticulture, make for an amazing bottle of wine. A visit to the winery is a great treat for visitors who can not only purchase and enjoy wine, but can also indulge in cider, local Neuchatel chocolates, and local Rip Rap crackers. 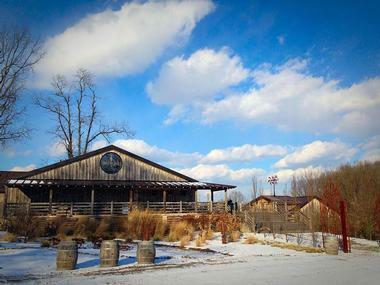 There are many events held throughout the year, and visitors are urged to host their own: anything from concerts, fundraisers, private parties, and corporate functions can be held at the Paradocx Vineyards. Food connoisseurs and visitors who enjoy fine foods in general need not go further than the Country Butcher. Complete with a meat market, cheese shop, produce market, deli, bakeries, and a kitchen, this 30-year-old family-owned fine foods market/ restaurant is the perfect place for visitors to enjoy locally produced goods. Popular for a hearty meal or a mouthwatering snack, Country Butcher also welcomes visitors to their open kitchen to see how chefs prepare the gourmet foods or to offer culinary suggestions. Throughout the year there are many tasting events open for visitors to try something extraordinary. Kennett Design is a studio where all of their visitors are invited to join in and become artists themselves. Their Paint and Sip program is an open invitation for visitors to bring their own bottle of wine and get lost in the art with paints. These events are 2 to 3 hours long with step-by-step instructions and include all the supplies necessary to bring out your artist. There are many other classes and events for visitors to participate in from canvas paintings courses and glass painting courses to a special class for the kids. More ideas: 20 Best Weekend Getaways in Pennsylvania.